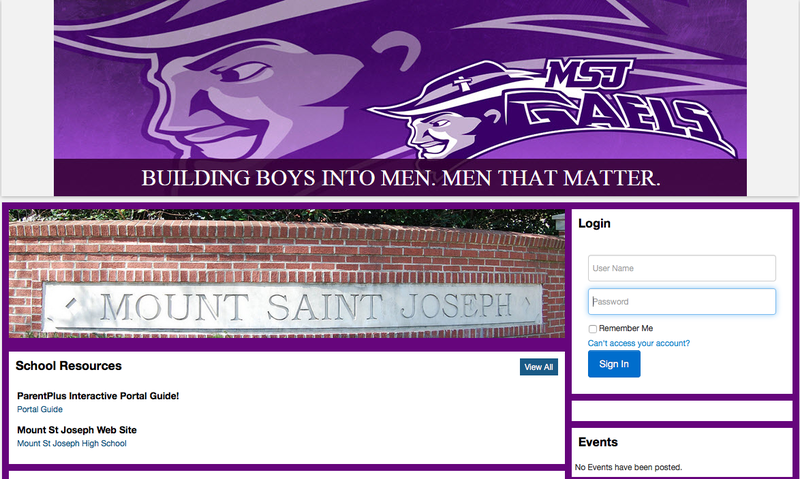 The front page of the MSJ PlusPortals page. A sight familiar to St. Joe students this year. Now that we have concluded the first quarter, one of the biggest changes in our school has been the implementation of Plus Portals and the discontinuation of Edline. If you are a current sophomore or above at St. Joe, you had become acclimated with using Edline. During the course of last year, some teachers started to slowly introduce Plus Portals in their classes. However, many students never had the opportunity to become used to the interface of Plus Portals. Now that the entire school has switched, some of the student population have expressed their dislike of some of the aspects of Plus Portals. I had the chance to talk to senior Colin Wolfe about what he likes and doesn’t like about Plus Portals. One of the things he says that he likes about Portals is that he is able to see his grades in real-time, and he no longer has to wait for the teachers to put the grades into their gradebook then upload to the website. 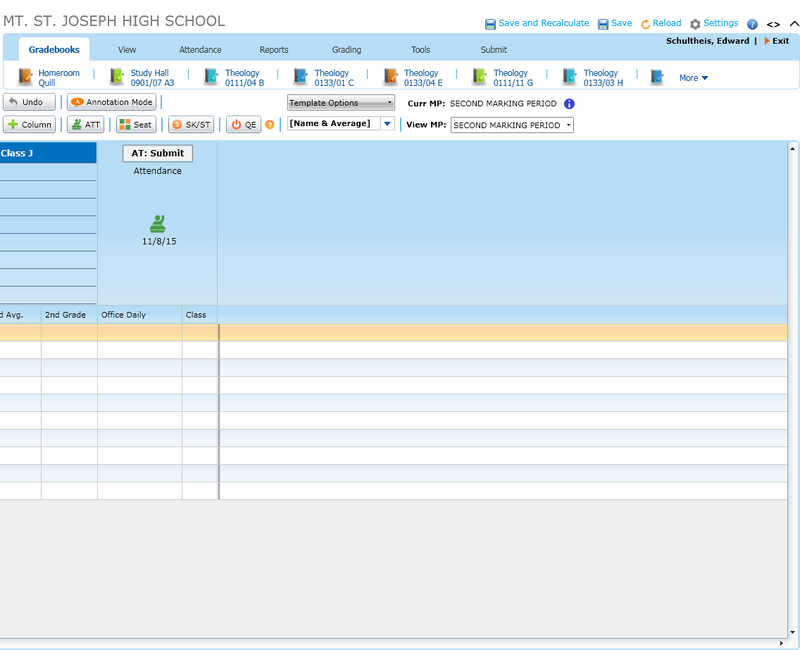 Now Portals is linked with the teacher’s gradebook and automatically posts them to Portals for students to see. One thing he doesn’t like, though, is that even though the homework assignments are shown as date due, once a teacher publishes more homework due at a later date, it automatically pushes the other assignments further back to other pages. That makes him have to search deeper for his assignments, or change the view of his homework sorting. I also had the chance to talk with a few teachers about how the transition has been from Edline to Portals and what they have liked and haven’t liked about the new system. When interviewing Mr. Sam Bianco, a Theology teacher, he said that Plus Portals can be a good way to keep a student organized, but he doesn’t think it is the most user-friendly site out there. Mr. Bianco and Mr. Folmer both agree that Google Classroom would be an ideal site to use. Mr. Bianco also said that he doesn’t think Portals is as easy to use as Google Classroom or even Edline, from a teacher’s perspective. The inner workings – A view inside the teacher’s gradebook. Social Studies teacher, Mr. Ryan Folmer, thinks Plus Portals is more convenient to use on a tablet, such as an iPad, which are being utilized more in the classrooms. Having the gradebooks linked to Plus Portals has made it easier for teachers to post grades, because with Edline the grades went in the gradebook first, then the teacher had to post to Edline. However, Mr. Folmer doesn’t like how Portals organizes assignments according to the due date, especially when he posts a long-term project and it’s placed further back on a student’s page. He doesn’t think it’s the best way to help keep student organized. Foreign Language teacher, Mr. Adam Kauffman, likes how he can post an assignment on Portals along with an attachment. When he used Edline, an attachment would have to be a separate post. Mr. Kauffman likes being able to send his attendance quickly on the iPad through Portals. However, Mr. Kauffman has found that figuring out options like seeing the class average in Portals or adding special scores such as “NC” as a grade versus a zero for a student who misses an assignment are not as intuitive as in Edline. 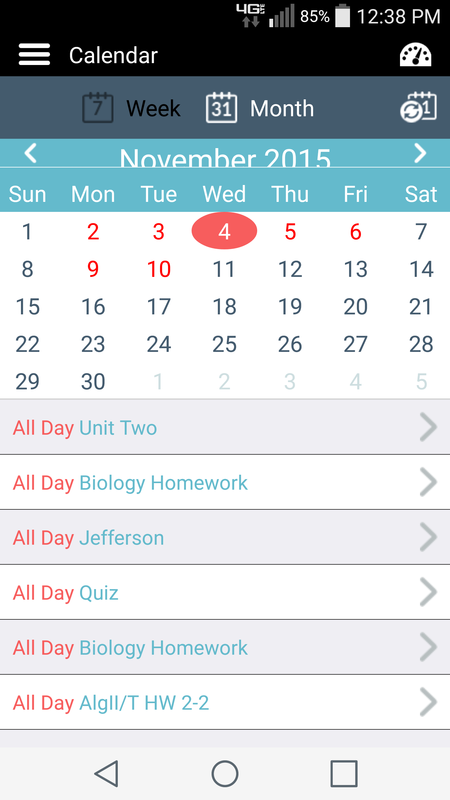 The student view, via the PlusPortals app, showing assignments and tests on the calendar. For me, I’m on the fence about Plus Portals. I like how I can see my grades right away. I know how I’m doing in a class, and I don’t have to wait to see a test grade. What I definitely don’t like about Portals is the loading time. It is a very slow application and website. I believe that Edline was quicker, but unlike Portals, I had to wait a longer time for grades to be updated on Edline, so there is a trade off between the two. Perhaps there will come a time when Google Classroom could completely take over the calendar, grade and homework aspects of Plus Portals. I’ve found it be more user-friendly, and it keeps students more up to date on assignments by sending emails to you and notifying you that you have an assignment due soon. Just like most of the returning students, I have had my growing pains with Portals. I still see classes that I’m not a member of on my calendar, but I do expect things to get better, as Mr. McDivitt predicts, and for it to become a smoother application. Right now, I think it’s too early to write off Plus Portals, so, I will hold my judgment until this school year is over.